By Vince Bond Jr. . Published on January 15, 2019. Hyundai Motor America isn't striking a new sponsorship deal with the NFL when its four-year partnership ends after this season, clearing the way for another automaker to take the mantle. Hyundai Motor America CMO Dean Evans confirmed during the Detroit auto show that the automaker doesn't have any plans to re-engage with the league on a new deal. But Evans made clear that NFL programming will still be a key piece of its marketing strategy going forward. Some dealers questioned the effectiveness of the sponsorship over the years because it didn't offer much direct advertising exposure during NFL games on mainstream networks such as Fox, CBS and NBC. While Hyundai carried the official vehicle and SUV moniker, and Genesis was the official luxury vehicle, rival brands such as Ford and Toyota still filled the airwaves on game days. Ford is the NFL's official truck sponsor, GMC is a "Monday Night Football" sponsor, and Toyota had sponsored the Monday night halftime show before Genesis took over the slot this season. Toyota continues to sponsor the "Sunday Night Football" halftime show on NBC in addition to the "Thursday Night Football" halftime show on Fox. Evans admitted during an August interview that "you can buy the sponsorship, and then if you don't have enough money to run enough TV commercials, you almost don't look like the sponsor." So the brand tweaked its game plan by taking a more aggressive stance on game days this season, highlighted by its pregame sponsorship of "Sunday Night Football." Dealers were fans of Hyundai's game-day audible in the final season of the sponsorship. "Just to be the sponsor of it, I'd have to question the value of that. 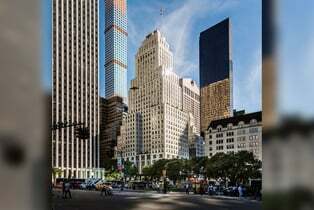 But, certainly, when you've got the biggest audience in the country, having your name out there repetitively is a good thing," Scott Stark, president of South Point Automotive Group, in Austin, Texas, said in December. "I'm seeing more of that this year. I like it better in its current state than I did in its original state." Andrew DiFeo, Hyundai's former dealer council chairman, was critical of the NFL deal before this season because it didn't have enough media weight behind it. 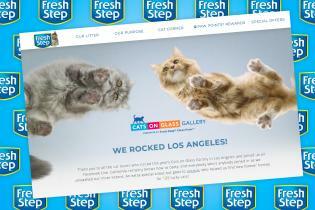 But he felt the brand learned how to leverage the platform better. "The company learned a lot from the NFL sponsorship. 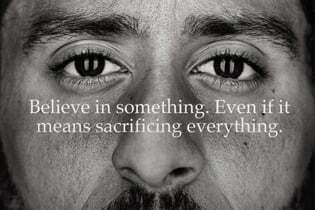 What it meant to be a sponsor of the NFL vs. just having media in the games," DiFeo told Automotive News when the "Sunday Night Football" deal was announced in August. "They've fine-tuned their approach." Evans said Hyundai has drawn more consumers who are NFL fans into showrooms because of the league partnership. One of the high points of the deal, Evans said, was being on the ground during Super Bowl festivities with experiential events and displays that allowed people to see the brand's vehicles firsthand. 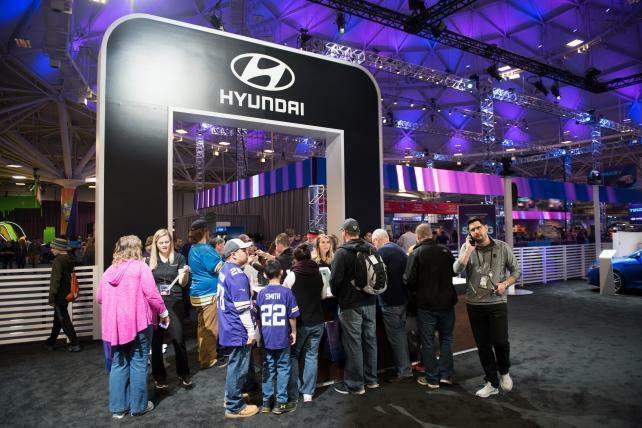 For this year's Super Bowl, Hyundai said it will engage with fans celebrating in Atlanta outside of Centennial Park at Super Bowl Live, and inside the Georgia World Congress Center as the presenting sponsor of the Super Bowl Experience Driven by Hyundai. Super Bowl Live will feature Hyundai's "Fam Jam," which will include opportunities for people to compete against friends and family in a football-throwing accuracy competition and win a $500 gift card by guessing how many footballs fit inside a Hyundai Kona. The Super Bowl Experience will feature the new Palisade crossover and exclusive autograph signings from 30 current and former NFL stars. "We are continuing our football strategy. We still have five teams that we sponsor. We are a 'Sunday Night Football' sponsor. That continues our football DNA, and being in front of what we think is a very valuable fan-based audience that we love," Evans said. "We don't plan on leaving them but just moving our assets around a little bit."